Our fifth graders have begun a new interdisciplinary unit: "Exploring Robotics through Mechanics and Coding." Using the LEGO Mindstorms EV3 robotics system, the boys are applying what they have recently learned about machines to create robots that will solve various challenges. Guided by their teachers Ms. Einhorn and Ms. Liebowitz, they work in pairs, using the engineering design process and building code sequences that will allow their robots to move in specified ways, collect data and respond to their environment. 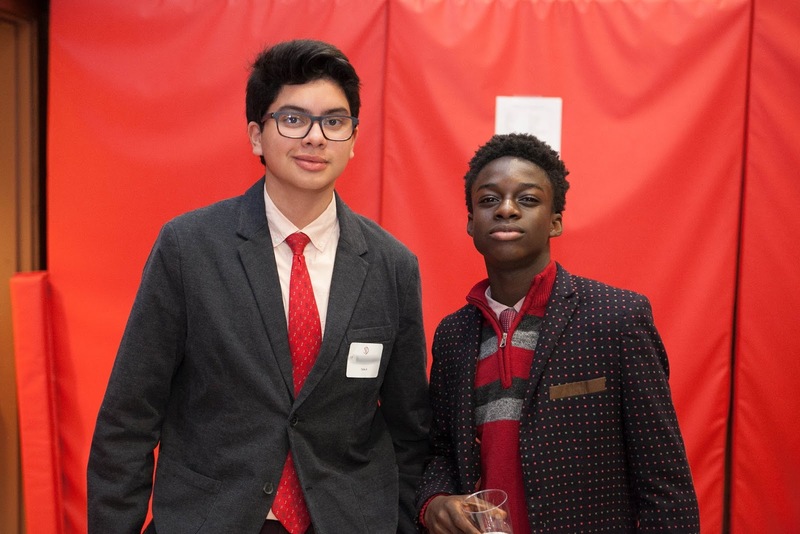 As they determine what makes a machine a machine, and a robot a robot, our boys are inspired to think critically, take risks and enjoy creative problem solving--all skills vital for success going forward. They also have a terrific time as they try to figure out how they can make their robots perform according to their code. 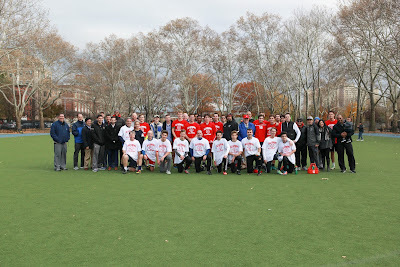 Alumni representing several decades of classes were back at school last Wednesday for the annual Odds vs Evens Soccer challenge. 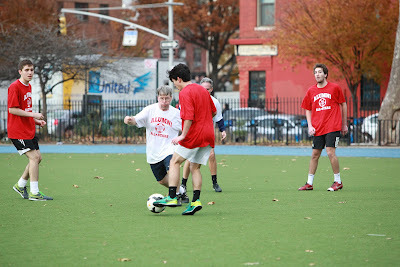 The lively competitive playing resulted in a close match, with the Odds besting Evens, 4-3. It is always good to welcome our alumni back to Saint David's and it is clear that as much as they enjoy the pre-Thanksgiving competition, the real draw is the opportunity to reconnect with their fellow Saint David's alumni and coaches. 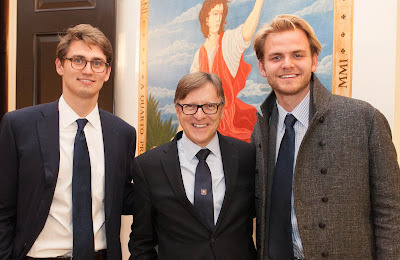 Erik Alfieri '09 returned to school yesterday evening to deliver the Chapel talk for the Young Alumni Chapel and Dinner, one of my favorite Saint David's Thanksgiving traditions. The Chapel overflowed with nearly 200 of our eighth graders, high school age alumni and teachers. Erik, a recent graduate of Georgetown University, began his talk with this quote from the Dalai Lama: "When educating the minds of our youth, we must not forget to educate their hearts." Erik detailed how education of the heart has always been foundational at Saint David's, and how it is rare to find in other schools. He noted that our boys' foundations are built through education of the heart when Saint David's teachers guide them to make informed, moral decisions; when our boys are taught to play sports "with grace and to compete with a sense of generosity and spirit;" and in the practice of Chapel, which provides daily opportunity for reflection. 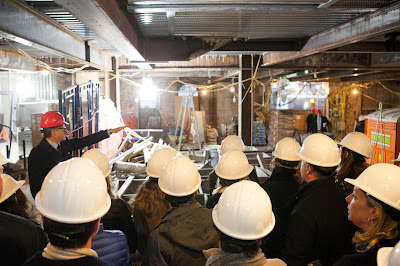 He likened the way the school educates the heart to the scaffolding, tools and equipment of our construction project. They will be gone one day, but what will remain will be the integral structure: "This is like the education at Saint David's. The foundation remains, and this is what is important." “Education is foremost the ability to think critically and tackle the issues you will encounter in your next steps,” he concluded. 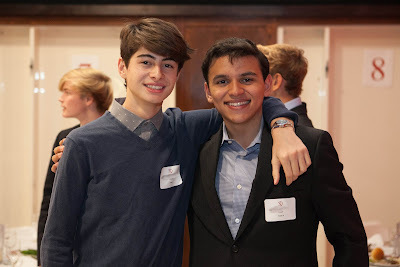 After Erik's talk, we enjoyed a delicious dinner during which our eighth graders talked to alumni at secondary schools they are interested in attending. 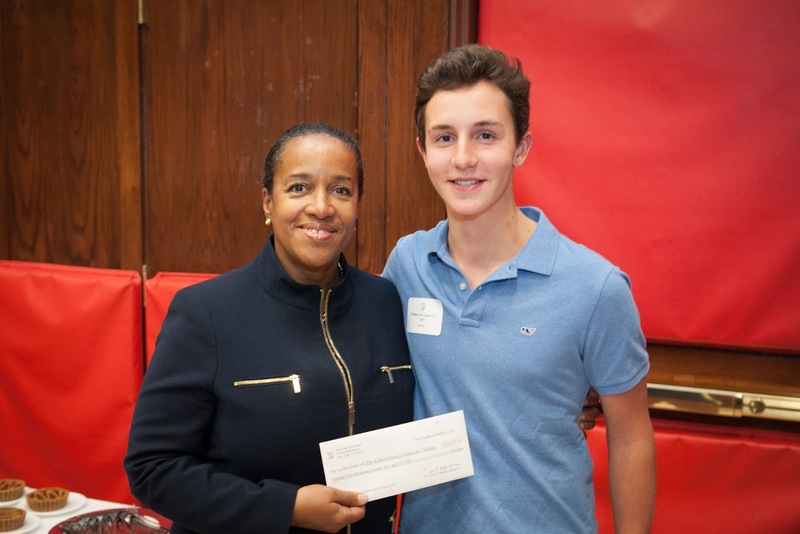 The dinner concluded with presentation of a check to Cheryl Anderson of Save the Children, for the $25,000 our boys raised last year in support of the Saint David's Kalina School in Tigray, Ethiopia. What a wonderful evening with these alumni whose comportment and generous natures never cease to impress me. 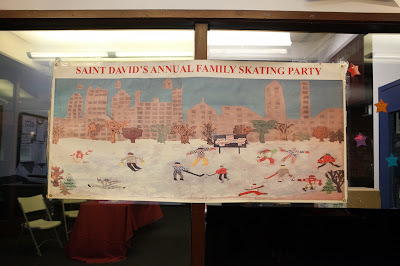 It is true that Saint David's takes seriously the education of the heart, and it shows. Throughout the year, the Saint David's community expresses its gratitude and finds ways to give back and do good. At Thanksgiving, this commitment to service comes into even greater relief. 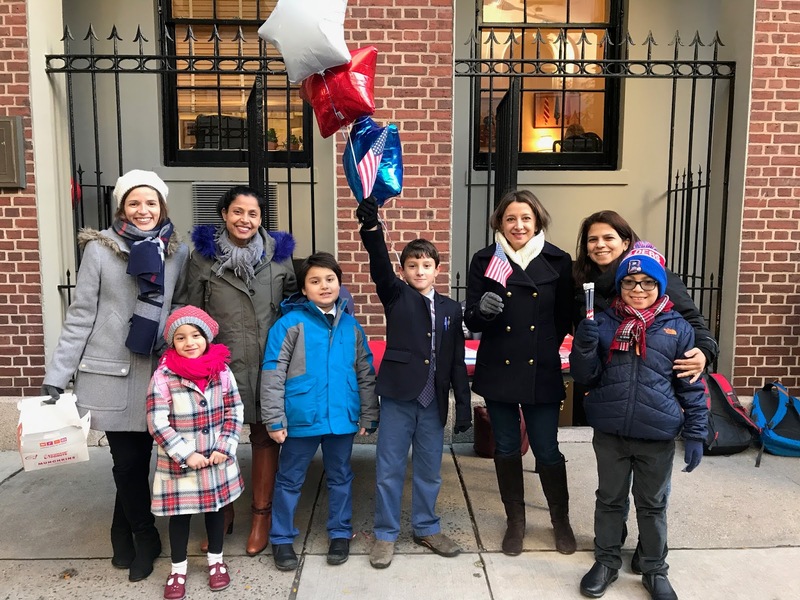 Our Parents Association Committees are doing amazing dedicated work, running the various fundraising drives that mark the season, such as Operation Gratitude, shown below. In the Thanksgiving Chapels I gave yesterday, and at today's Mass, we came together to offer prayers in thanksgiving for all that we have, most importantly the loving people in our lives. I am grateful to be a part of this kind, caring community. Below, see the Thanksgiving poem our Omega Pilgrims recited to our Pre-K Wampanoag during yesterday's Thanksgiving Feast. 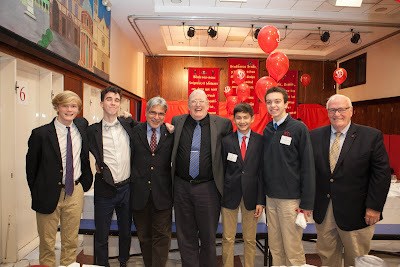 On Friday, I joined our Omega boys for their Career Fair, the culmination of their study on jobs and careers. I met with future basketball players, race car drivers and soldiers, among others. 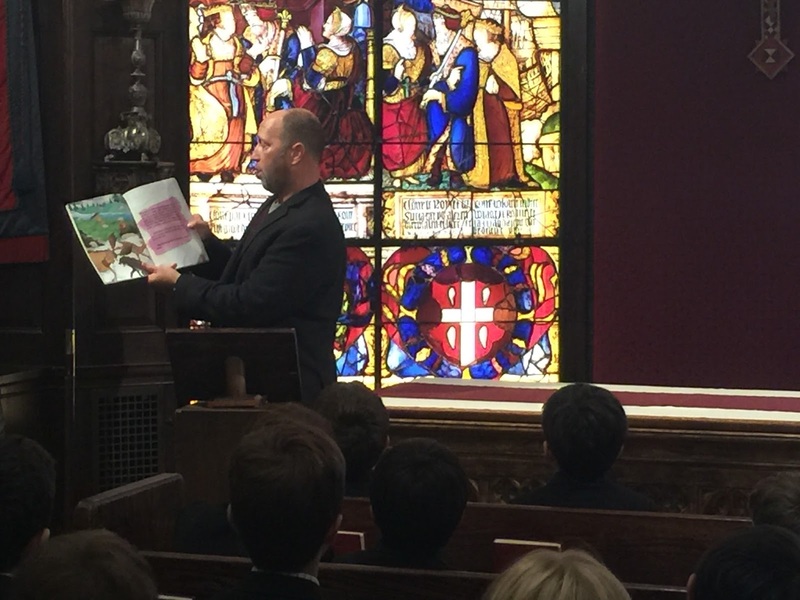 It was great to also see Brooks L. '17 there, enjoying his younger brother's (a future cartoonist) presentation. 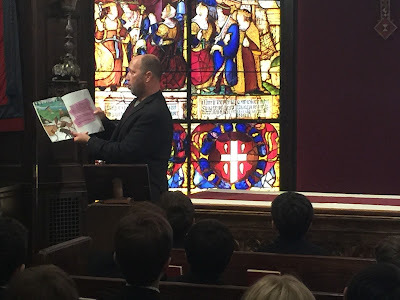 The boys loved sharing their career study books which incorporated learning in Spanish class, and were filled with original illustrations, and what they've learned about how their selected careers impact communities. 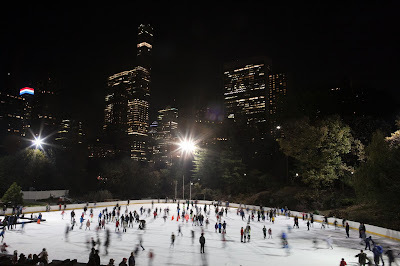 Last night we gathered under the stars for the Parents Association's annual Family Skating Party in Wollman Rink, an evening when we celebrate our community of families. The party raises funds for the wonderful and varied initiatives that our PA committees embrace each year. Thank you to last night's Chairs: Greg Baer, Adriana Kothari, Amanda Moran, and Leticia Presutti for all the work they did to bring this special event to fruition. 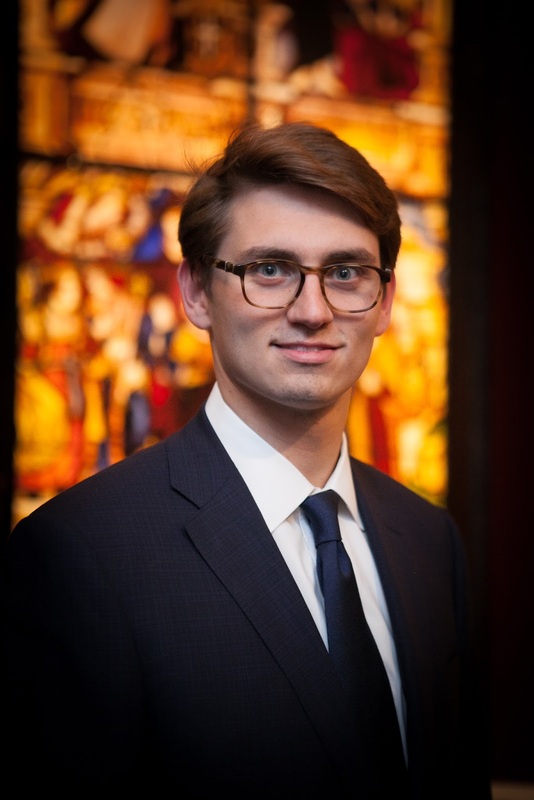 Alumnus Jack Kraus '12, sophomore at the United States Military Academy at West Point, gave the Chapel Talk this morning to our seventh and eighth graders. 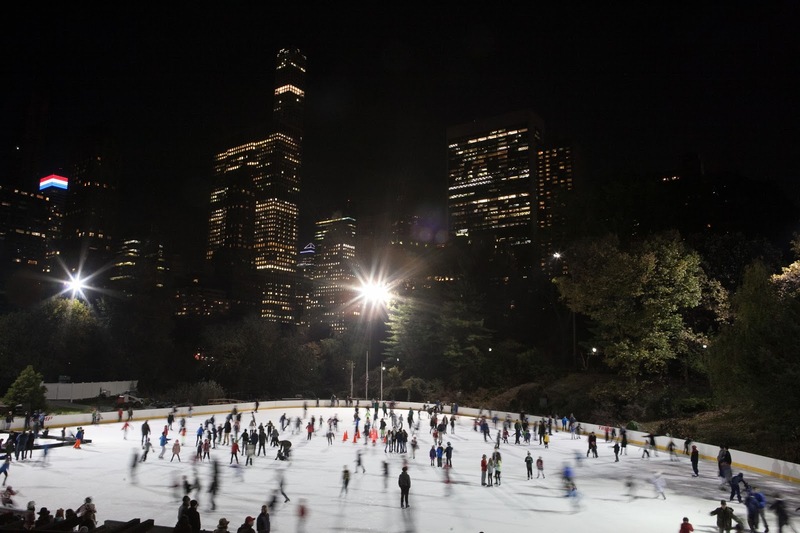 Jack told the boys of an experience he had had at Grand Central Terminal at Christmastime, when he was a senior at Lawrenceville. While waiting for a train and having breakfast at the Terminal, he noticed a man who was homeless. The man sat down and opened a container of food. Before the man ate, he bowed his head and prayed. That moment made Jack realize that there was so much in his own life that he took for granted. Here, before him, was someone who seemed not to have a lot, but who was grateful for what he did have. 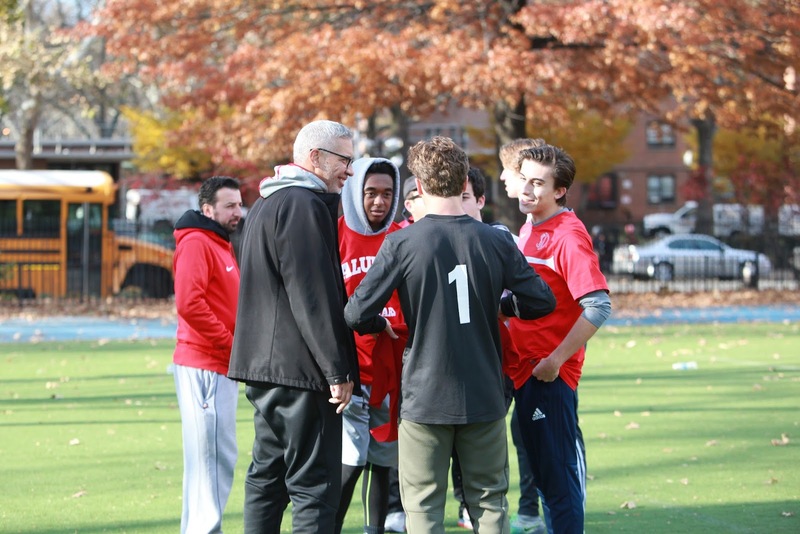 "My challenge to all of you here today is to 'earn this,' " Jack said, drawing upon the last line in the movie Saving Private Ryan; noting how fortunate they all are to be at a school like Saint David's, and how vital it is to give back by contributing to the greater good. He encouraged them to continue to do the good works that the boys engage in through all of the service projects at our school, closing with: "When you leave Saint David's, the work doesn't stop, you have to find a way to keep doing good in the world in order to be a good man." It was wonderful to see Jack back at school this morning. 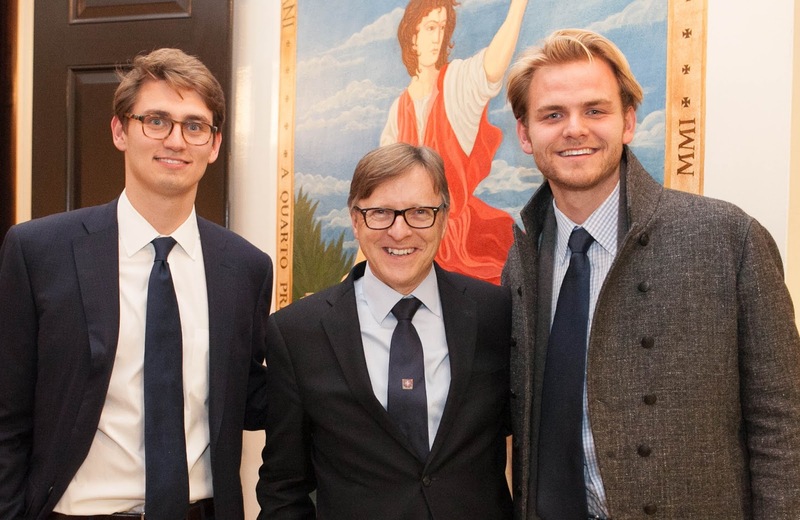 The message of his talk is an important one for our boys to hear, and all the more powerful when delivered by someone who sat in the same Chapel just a few years ago and is now serving our country. A crisp fall day. 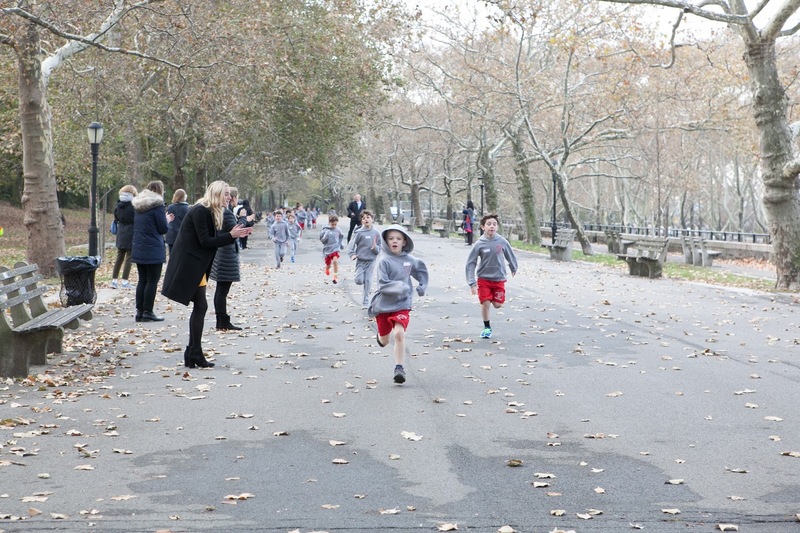 Perfect for a race in Riverside Park. Yesterday our second graders participated in the annual Turkey Run tradition. 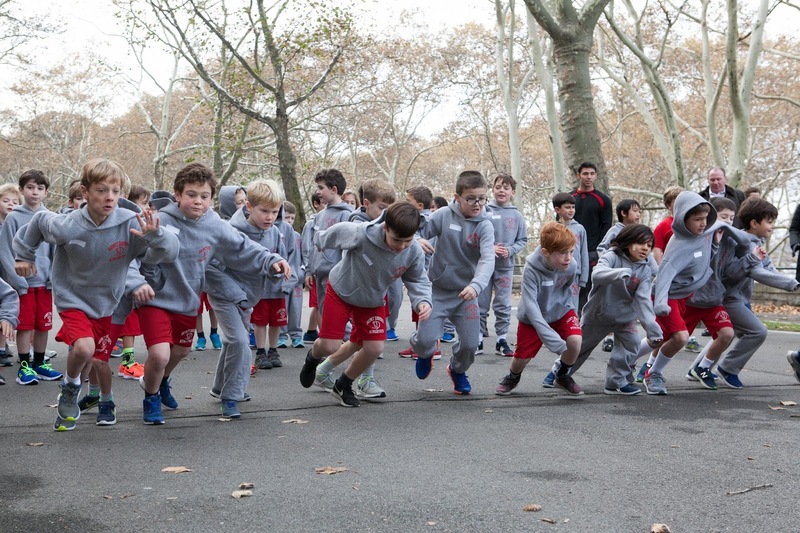 It was blur of gray as the boys raced 500 meters past cheering family members and faculty. The boys had been training hard in sports class for the big event, and it showed! 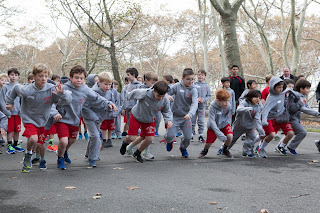 This year marks the 45th anniversary of this great tradition, and the 20th anniversary of it taking place in Riverside Park. It is such a fun morning that builds class spirit and is also a wonderful way to mark the beginning of the holiday season. On Friday, we celebrated the topping off of our expansion and consolidation project with a morning hardhat tour for our early supporters, trustees, and contractors. 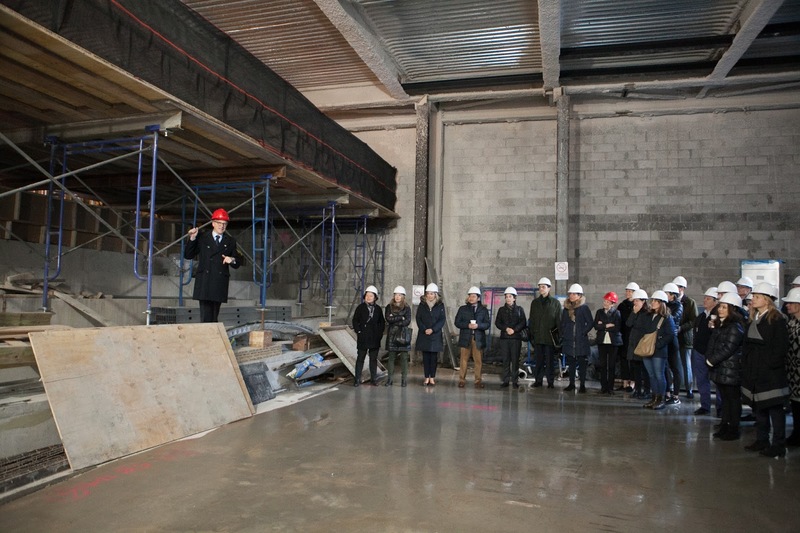 The group visited the sites of the new lobby, performing arts center, middle gym and eighth grade commons. Our tour culminated at the very top--in our new full-size middle school upper gymnasium. 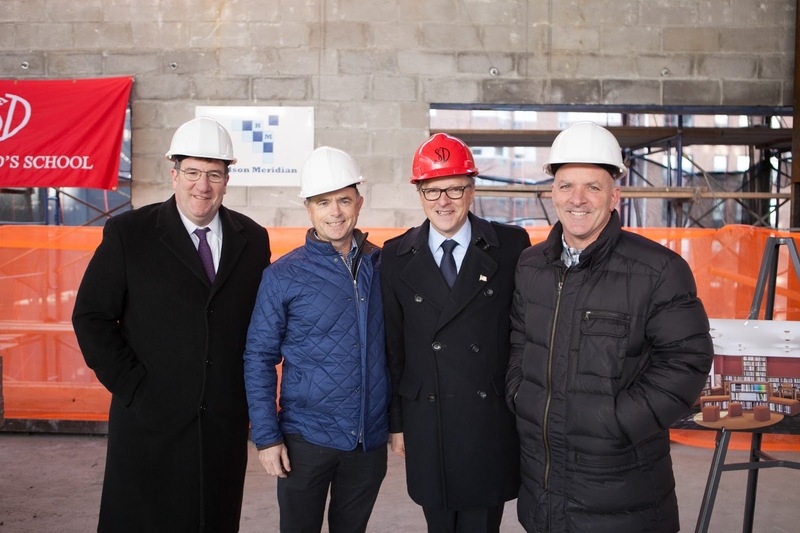 It is incredibly exciting to stand in the space, experience the progress to date, and the ways in which all these rooms are taking shape. 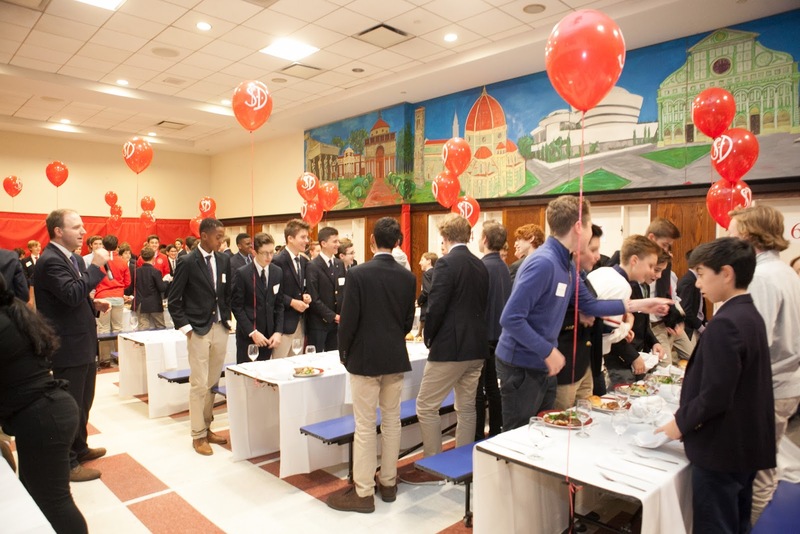 As Board President Dan Connolly '77 noted, we've come this far due to the tremendous support of so many in our community: donors, trustees, administrators. 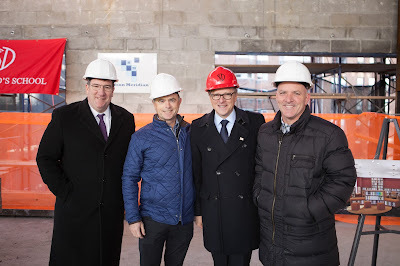 We are grateful in particular to Trustees John Menz and Craig Wood, Co-Chairs of the Expansion Logistics Committee, who were so instrumental from the very beginning. Without their expertise and vision none of this could be possible. 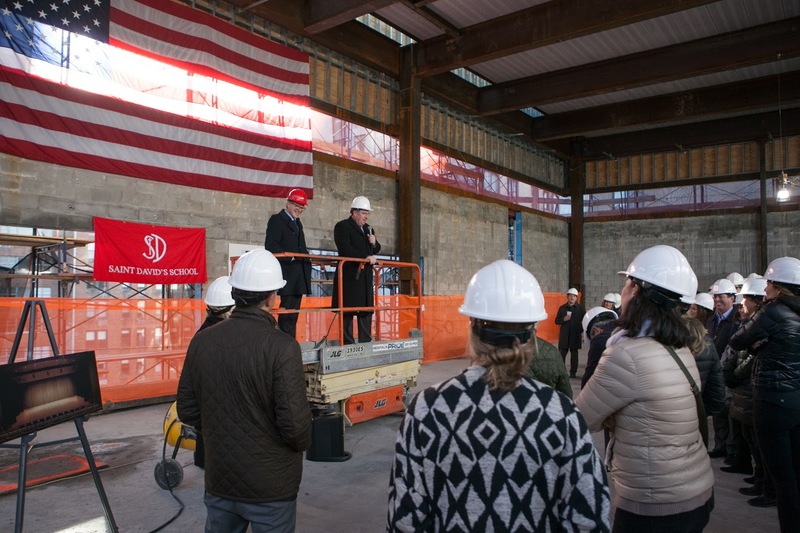 This time next year, our boys and their teachers will be engaged in the robust and innovative learning experiences that define a Saint David's education in state-of-the-art facilities that will enable them to maximize potential, and meet the demands of this century. This morning's Math Bowl at the Rochester Room was a tight race. 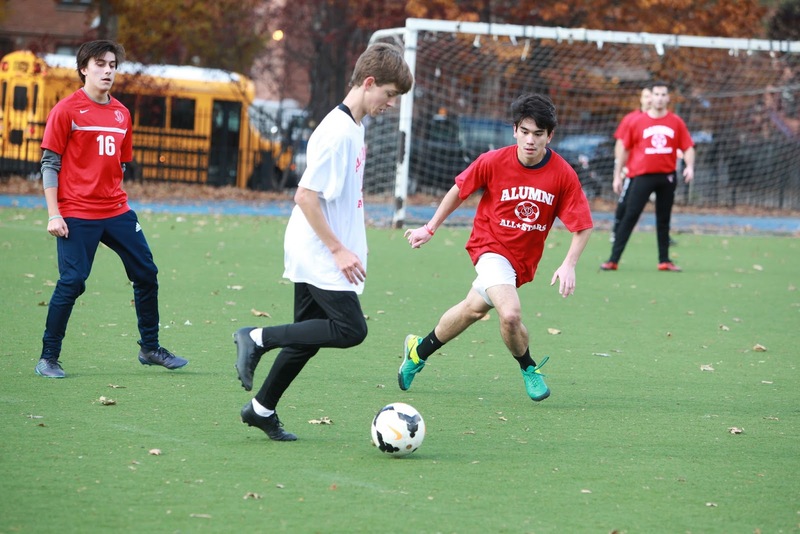 At the half, the mathematics competition could have gone to any of the four Upper School Teams: Euclideans, Pythagoreans, Archimedeans, or the Newtonians. In the end, the Euclideans claimed victory in the speed round, nailing several tough questions in quick succession, leaving all of us in the audience a little more math-savvy! As usual, Tom Ryan did a fantastic job as emcee, and the math department came up with challenging, entertaining and at times tricky math problems. A great day for math and all! 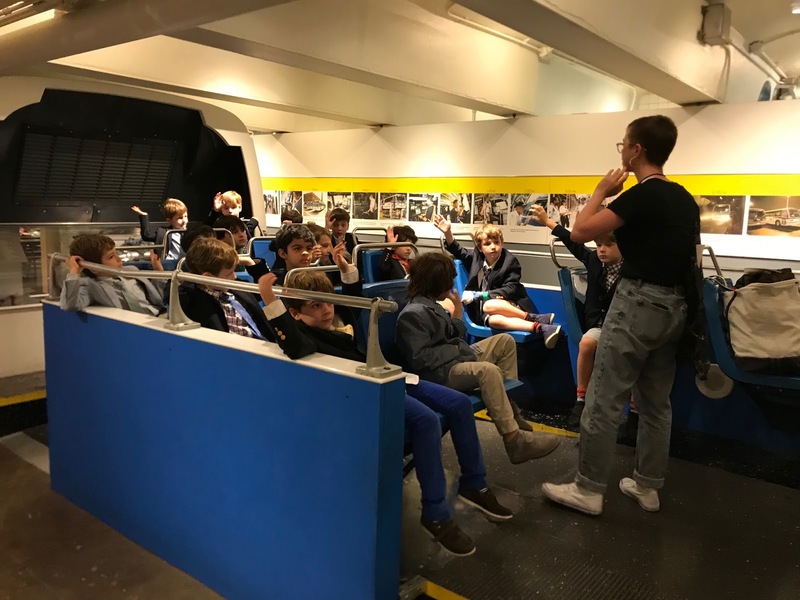 First graders visited the New York City Transit Museum in Brooklyn recently. 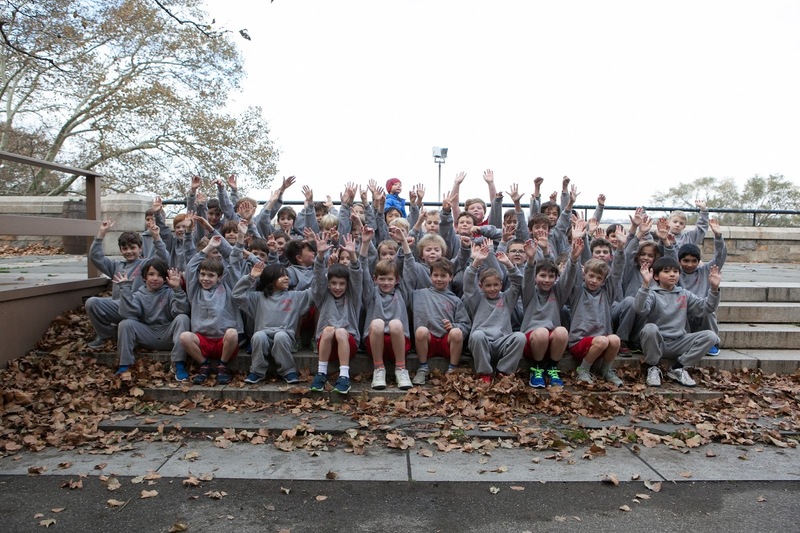 In preparation for their field trip, the boys studied various ways to travel throughout the city. At the museum, they went on a tour of New York City buses and old subway cars. They learned the history of the subway and transportation methods used prior to the subway being built. 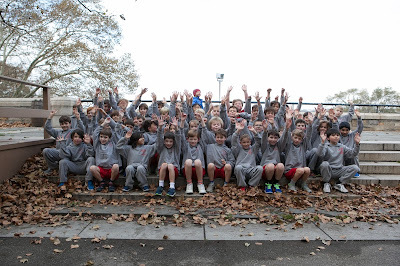 The First Grade social studies program focuses on the geography and landmarks of New York City. Field trips such as this "make real" the concepts discussed in class. To guide us in our initiative to cultivate cultural competency and in support of our school's commitment to being an increasingly inclusive community, last year Saint David's began a three year partnership with Dr. Derrick Gay, internationally recognized consultant on issues of global citizenship, diversity and inclusion (www.derrickgay.com). Over the course of the first year, Dr. Gay met with the Administrative Team, the Committee on Community and Inclusion and trustees in a variety of formats. Yesterday, we began year two of the partnership with an afternoon faculty/staff professional development workshop led by Dr. Gay. 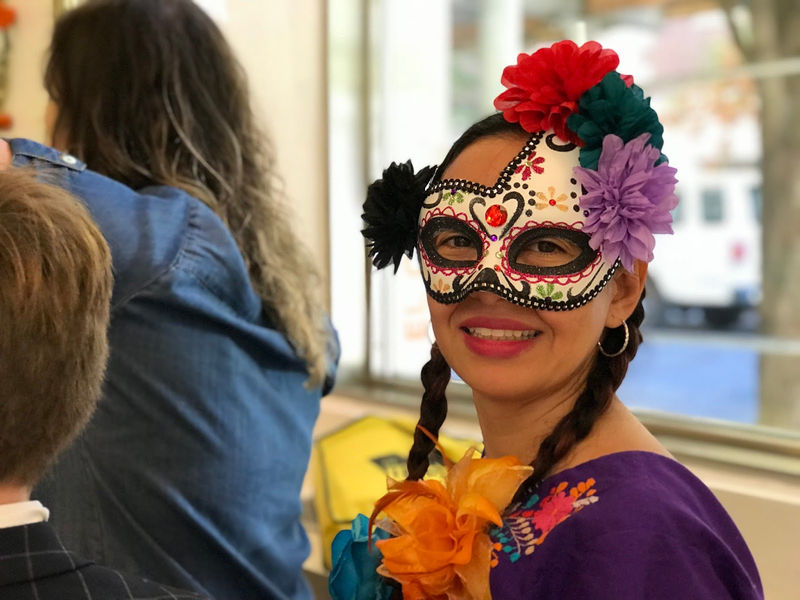 All members of our faculty and staff participated in a series of activities designed to explore cultural competency, inclusion, and identity--the ways we define who we are and the power behind our language choices. The exercises were illuminating and marked the beginning of an ongoing process. Later this year, Dr. 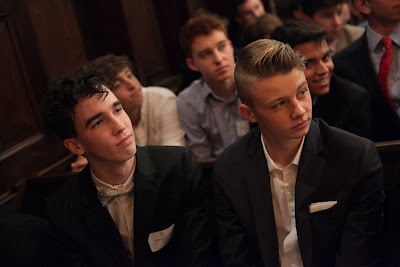 Gay also will meet with representatives of our parent body, the broader Parents Association and our older boys. Saint David's recognizes how essential it is to educate our boys to appreciate difference in all of its manifestations. 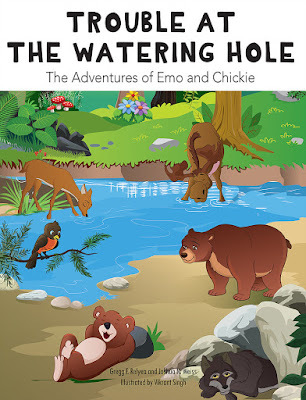 In an increasingly globalized and interconnected world, our boys will need to be able to think about and view the world from a variety of perspectives, to develop cultural competency. 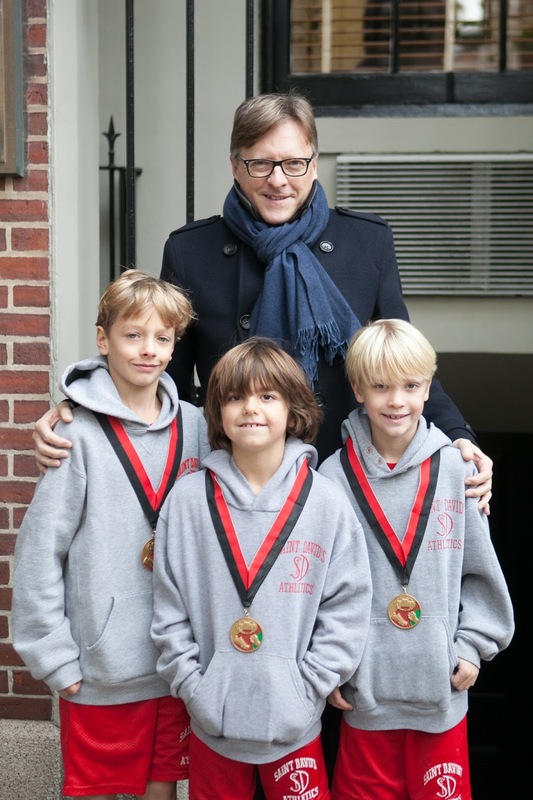 It is also essential to the fulfillment of our mission's aspiration for our boys... "that they be good men." An interview with Dr. Gay that appeared in Saint David's summer magazine can be read at this link. 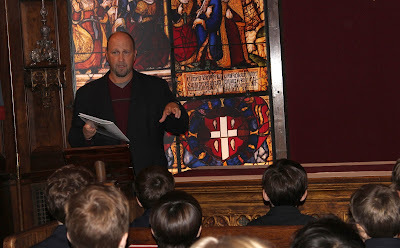 Negotiation and Conflict Resolution Specialist and Author Joshua N. Weiss, Ph.D. was the featured speaker during the third and fourth grade Chapel this past Thursday. Dr. Weiss is the co-founder of the Global Negotiation Initiative at Harvard University and a Senior Fellow at the Harvard Negotiation Project. He read the boys his children's book, Trouble at the Watering Hole, in which a group of animals use effective conflict resolution strategies to resolve their dispute over who will have access to the watering hole. Dr. Weiss discussed with the boys the variety of strategies employed by the animals in the book to successfully resolve their conflict. The boys then provided examples of situations in their own lives where they could envision a conflict arising with classmates. Through further discussion, the group came to see that the key to resolving these conflicts is active listening: taking the time to ask questions, truly listening to answers, and being open to creative solutions. We all face conflicts in our lives. Learning to work through them in a civil, respectful and productive manner is an essential skill for our boys to develop as they aspire to be good men. Our fifth graders learned about the Mexican Dia de los Muertos (Day of the Dead) holiday yesterday during their field trip to El Museo del Barrio. During this three-day holiday, families and friends gather to pray and to celebrate loved ones who have died. The boys and their teachers saw exhibits of ofrendas that families build, which typically feature marigolds, butterflies, sugar skulls, and pan des muertos, as well as photographs and items that were significant to their deceased loved ones. They also learned about Catrina, the Lady of the Dead, an icon of the holiday. The field trip is conducted in conjunction with our Spanish immersion program in which our boys learn both the language and the culture of Spanish speaking people. The immersive experience culminates with a Spain Study Tour during the summer when the boys are rising eighth graders. 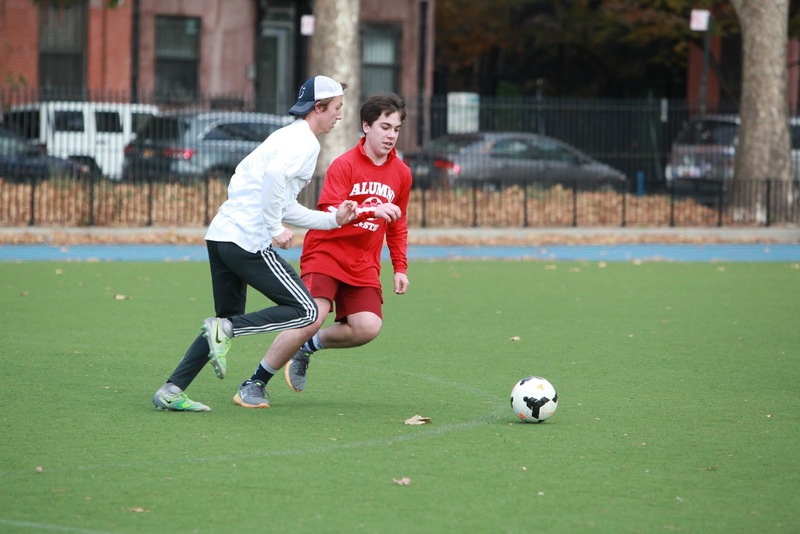 We are so fortunate to be close in proximity to cultural treasures like El Museo del Barrio, which enable our boys to view life through perspectives that may differ from their own.